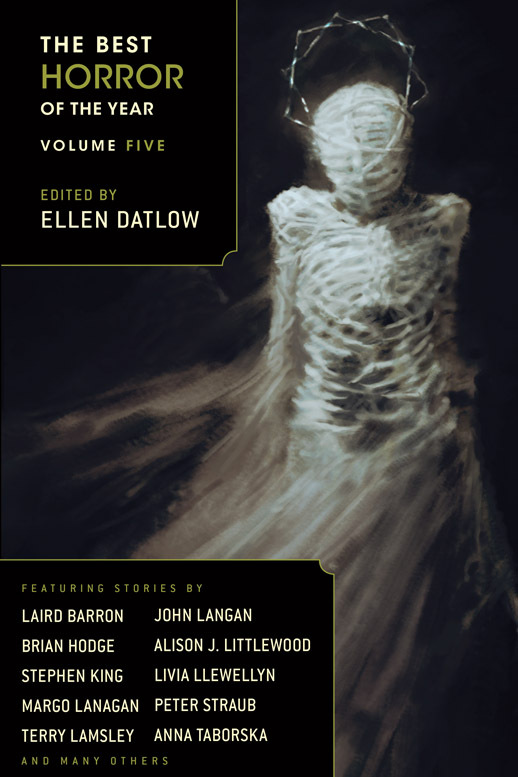 I received an email on Monday evening from the multi award-winning editor Ellen Datlow, to say that she was taking my story NONE SO BLIND for inclusion in her annual reprint anthology BEST HORROR OF THE YEAR 5. The book is scheduled to be published in June. The artwork at the top of this may not be the finished version, but suffice to say I’ll be looking forward to getting my hands on it however it looks. Congratulations to you, Stephen, and well deserved – it’s a great story.